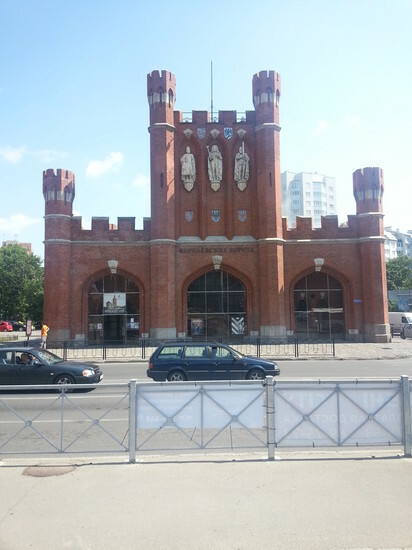 The current gate was built between 1843 and 1850 as part of the extensive refortification of Königsberg, replacing an earlier one which had originally been known as the Gumbinnen Gate (as the road out led to the town of Gumbinnen), before its name was changed in 1811 to the King's Gate. 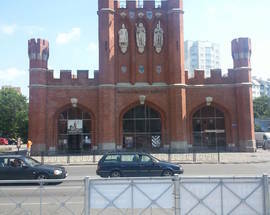 Although lucky enough to be still standing by the end of the final Soviet offensive in April 1945, it was in poor condition and remained more or less derelict, except for a brief stint as a book store, until 2004. 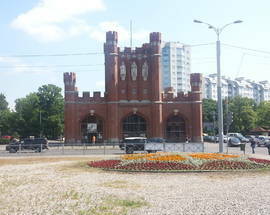 At this point, with the 750-year anniversary of the city fast approaching, the Federal Government stepped in to fund a 49mln rouble restoration project, the results of which were finally unveiled on 1st July 2005. 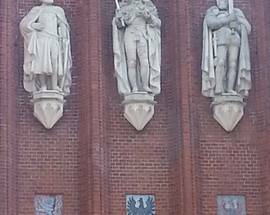 The three signature sandstone figures on the facade, which had become known in the post-war years as ‘The Headless Kings’ after they were allegedly defaced by Soviet soldiers, were particularly difficult to restore. 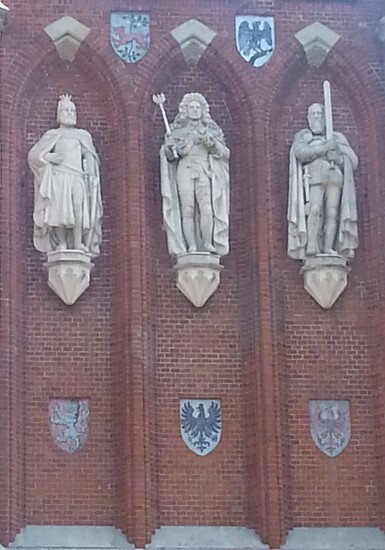 From left to right, they represent King Ottakar II of Bohemia – whom the Teutonic Order named Königsberg in honour of in 1255, King Frederick I of Prussia – who was crowned the first King of Prussia in Königsberg on the 18th January 1701, and Albrecht of Prussia – who founded the Duchy of Prussia in 1525 and Königsberg's Albertina University in 1544. 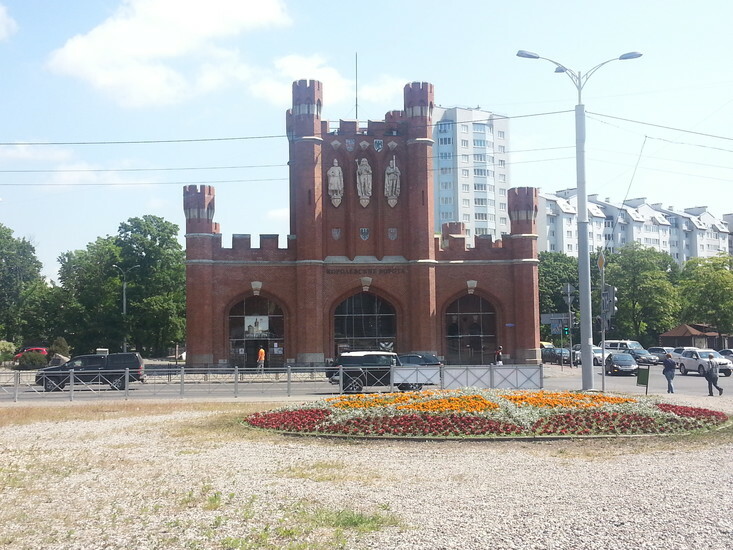 Inside, the gate houses the Grand Embassy, a permanent 3-room exhibition which is a department of the Museum of the World Ocean and is dedicated, rather unsurprisingly, to the diplomatic mission of Russia’s Peter the Great to Königsberg in 1697. Small but modern, it doesn't take long to explore and has unusually strong translation into English. Open 11:00 -19:00. Thu 11:00 - 20:00, Closed Mon.